Washington, D.C., July 24, 2018 – The nation’s leading heart disease patient advocates announced today the launch of the Heart Valve Disease Policy Task Force, a coalition of non-profit organizations uniting for a common voice in support of improved access, research, and awareness on heart valve disease detection and treatment. The Heart Valve Disease Policy Task Force will work with patients, medical providers, and key policymakers to focus attention on national policy issues affecting the diagnosis and treatment of heart valve disease. Heart valve disease impacts as many as 11.6 million Americans, and, if left untreated, can be fatal. Unfortunately, studies show that many with the disease are never diagnosed or treated, especially minorities and underserved individuals. The first issue that the Task Force is engaging in is the Centers for Medicare and Medicaid Services (CMS) National Coverage Determination (NCD) of a minimally-invasive heart valve disease treatment called transcatheter aortic valve replacement (TAVR). CMS announced recently its plans to reevaluate if, and under what circumstances, it will pay for TAVR. 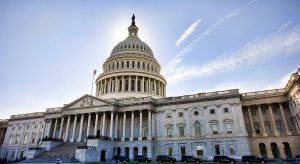 The biggest debate regarding this coverage decision is whether the government should continue to require a minimum number of annual surgical and interventional cardiac procedures for a hospital to maintain a TAVR program. TAVR uses a catheter inserted in a patient’s artery that is guided into the heart using advanced imaging techniques. Through this catheter, a tissue heart valve is guided into position and placed directly inside the diseased aortic valve. Once the new valve is correctly positioned, the valve is deployed in a matter of minutes, without opening the patient’s chest. When CMS established its original policy in 2012, the number of annual procedures that a given hospital or heart center performed was used as a surrogate for the quality of its care and determined which hospitals could perform the procedure. The program maintenance requirements for procedural volume made sense when TAVR was new, there was a learning curve for the new technology, and there were limited outcomes data. Early studies showed that increased experience from higher volume facilities led to better outcomes in inoperable-risk and high-risk patients. However, current data shows that TAVR outcomes have been excellent in both high- and low-volume facilities. This is because enhanced technology, simplification of the TAVR procedure, widespread training among the medical professionals, and group learning positively impact the outcome of TAVR. With the current policy, there are barriers to access to TAVR, particularly among rural and minority populations. The Heart Valve Disease Policy Task Force is actively engaging CMS and key stakeholders in the patient and provider communities to urge CMS to remove barriers to TAVR. As part of this work, the Task Force and its members will participate in a CMS Medicare Evidence Development & Coverage Advisory Committee (MEDCAC) meeting tomorrow, July 25. CMS is inviting public comment on its national coverage policy and the deadline for this input is Friday, July 27. The Task Force receives educational support from Edwards Lifesciences. For more information about the Heart Valve Disease Policy Task Force, including its priorities, members and details about joining, visit https://www.agingresearch.org/campaign/heart-valve-disease-policy-task-force/. For more information about the Task Force’s work on the CMS national coverage determination of TAVR, including educational resources and details about submitting comment to CMS before the July 27 deadline, visit https://www.agingresearch.org/TAVR/. The Heart Valve Disease Policy Task Force is a coalition of national patient and professional organizations, collectively advocating for policy solutions to improve access, research, and awareness on heart valve disease detection and treatment. The Task Force serves as an umbrella coalition, providing consistent and unified messaging on sign-on letters, public comments, and educational tools for policymakers and the public.